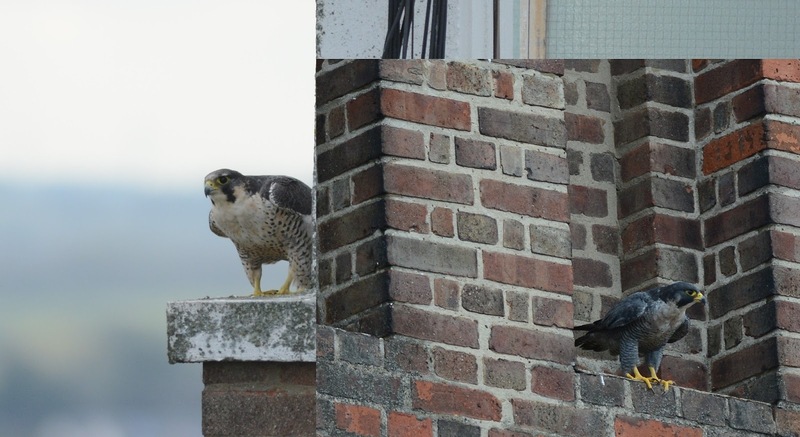 Last year, courtesy of other birders who contacted me, I was told about a Falcon who was holding to territory in London, at the time there was also a Tiercel with her. 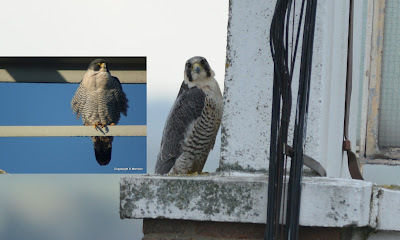 After watching behaviour in 2017, there was no copulation and no breeding activity shown last year at all, after a while the Tiercel moved on it seems. 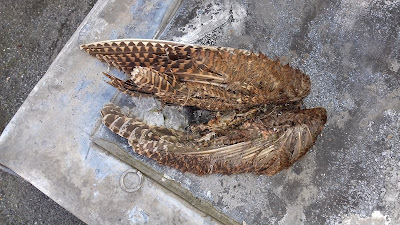 As soon as it was practical, I visited the roof to check if there was the possibility of them breeding and also came across lots of prey remains as you would expect. What surprised me last year was the number of Gulls on the roof, predominately Black Headed but also a few Commons in the mix. Pigeons were present but it was on a par with the Gulls, in prey collections that I undertake the odd Black Headed is present but pigeons have always formed the majority of the prey. At the time looking at the Falcon, I thought she may have the look of a Hybrid; I got a few photos of her and kept an eye on her throughout the year. I visited the site the other day, she, as far as I am aware she is still on her own although a Tiercel has been seen occasionally. 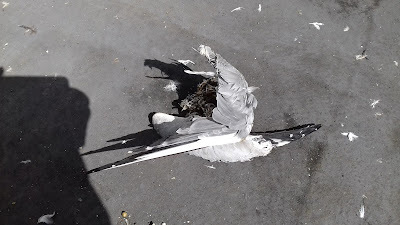 On this visit, again she is non breeding and summering, the number of Black Headed and Common Gulls outweighed pigeon prey; it seems her preference is Gulls. Additionally 2 Lapwing and Woodcock were also present. 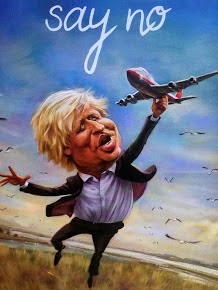 My line of thought now, having looked at her plumage and the fact that she may possibly have developed a taste for Gulls at her natal site – possibly the Tundra where Gulls are the dominant prey species. It’s hard to imagine an Arctic Peregrine in London but the plumage in some areas does fit, she’s not the normal Falcon plumage and she is also quite large. 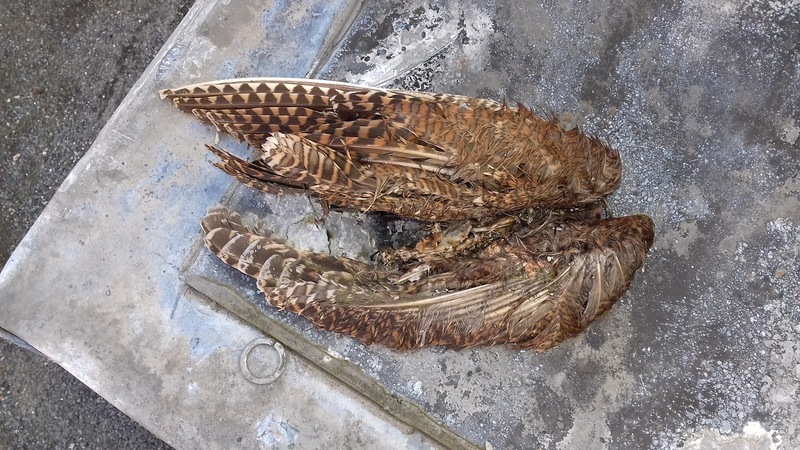 She has also been in this plumage for 2 years so not about to moult either from juvenile plumage. Additionally she could be a Hybrid, possibly unable to breed which might explain the Tiercel’s coming and going and not bonding.